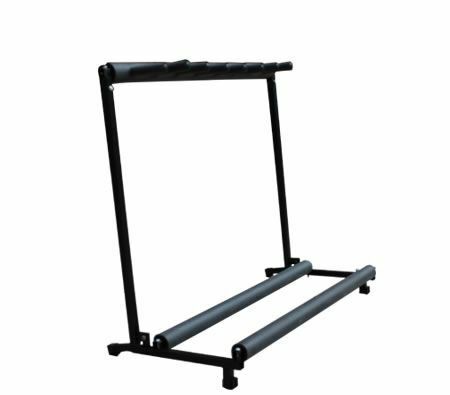 This Brand New, high quality guitars rack/stand suits all types of Electric/Bass and Acoustics Guitars. 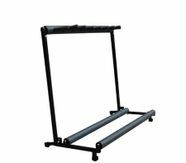 Built to accomodate 7 Electric or 4 Acoustic Guitars this stand looks neat, protects your instruments and packs away easily. 87cm x 40cm x 73cm approx. (L x W x H) 90cm x 16cm x 15cm approx.